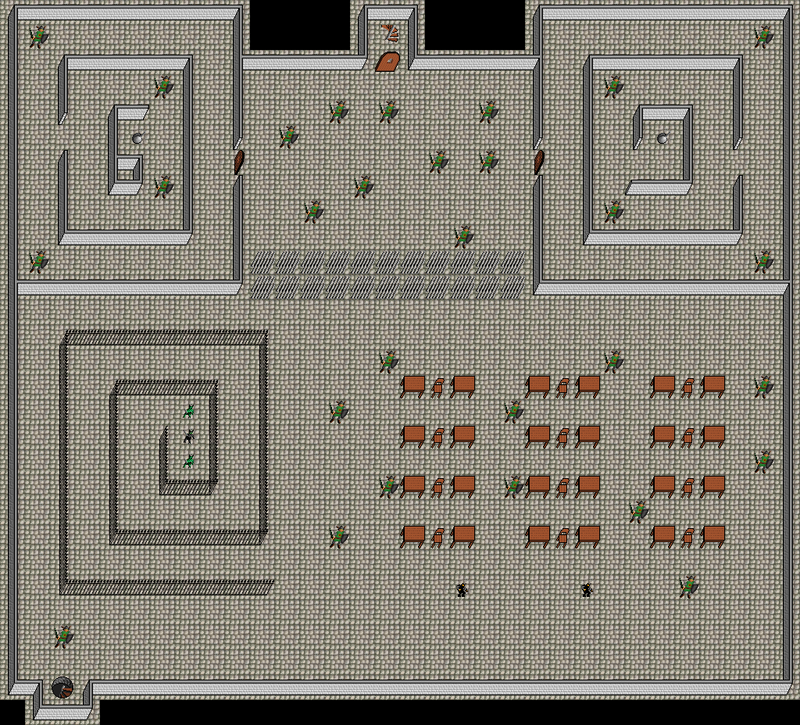 Map Warriors' Tower, Dungeon Level 1, in region Somewhere out in the Wilderness. Map level: 50. Monsters on map (level from 20 to 50): Chaos Knight, Hulking Beast, insane kobold, rabid kobold.